Organizations that use IBM Z say they can rely on the platform with their most mission-critical workloads. That is why many of the world’s top financial institutions, including banks, insurance companies, airlines, government agencies and healthcare organizations run their business on IBM Z. But can IBM Z help tackle today’s top-of-mind business challenges, such as how to extend and secure delivery of the cloud in a multicloud world? Or how to defend against growing cybersecurity threats? Or how to innovate and more swiftly react to market and client expectations using artificial intelligence (AI) and blockchain? Or how to provide an always-on and resilient infrastructure? The answer is yes. Join us at Think 2019, February 12 – 15 in San Francisco, to learn how IBM Z is ideally suited to meet today’s — and tomorrow’s — challenges. We have assembled a mix of experiences from sessions to tech talks, Think Tanks, hands-on labs and more, delivered by industry thought leaders from around the globe. Whether you are a CIO, new application developer or anything in between, you can gain insights to drive agile digital transformation, mitigate threats with security and deploy modern workloads on purpose built infrastructure — all with IBM Z at the center of your resilient multicloud strategy. Here’s a preview of what you’ll learn at Think 2019. 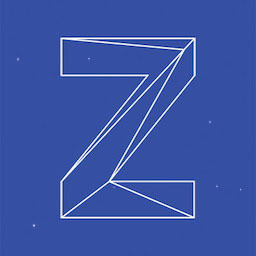 Zowe — an open-source project from the Open Mainframe Project in collaboration with IBM Z, Broadcom and Rocket Software. Zowe offers a familiar development interface that empowers you to develop applications on IBM Z like you would on any other cloud platform. IBM Z Open Development capabilities enable you to integrate with open source tools such as Git and Jenkins. z/OS Connect Enterprise Edition addresses use of RESTful APIs to easily consume IBM Z data and services. IBM Cloud Private on Z and Z-as-a-service offerings allow developers to tap into IBM Z capabilities to modernize and code cloud-native applications through the IBM Cloud. Data is the most valuable asset for many organizations. As the number and variety of security threats grow, so do your compliance and regulatory requirements. Businesses seek more comprehensive approaches to protect valuable data and prevent exposures that risk the business’ reputation and erode the client base. Pervasive encryption can help you significantly reduce risk and simplify compliance. You can see it in in action at Think 2019 through sessions, demos, an Escape Room experience and client testimonials. This innovative technology encrypts all data — in flight and at rest — for an application, database or cloud service no matter where the data resides. Security is engineered into the IBM Z platform and further strengthened when combined with a comprehensive set of solutions such as IBM Multi-factor Authentication for z/OS or Z-as-a service security solutions such as IBM Hyper Protect Services. 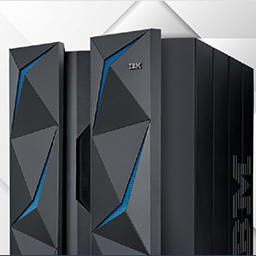 Purpose-built solutions on IBM Z means an environment optimized for demanding workloads that need the highest levels of reliability, scalability and security, but with the flexibility to access those solutions on premises or in the cloud. Some of the purpose-built solutions to be featured at Think 2019 include banks of the future delivering new digital services, enterprise blockchains creating efficiency and trust, and machine learning and AI enabling the exploitation of data on Z for insights in real time. Get hands-on experience in a machine learning workflow lab and connect with AI experts to learn about the integration of IBM Z with IBM Power Systems servers running the IBM PowerAI Enterprise platform. Whether you’re a cloud service provider or CTO of an enterprise, hear how IBM Z can further differentiate your cloud services to help capture new markets and new clients. Learn the benefits of running IBM Cloud Private on IBM Z and why industry thought leaders believe IBM Z is the modern platform for the cloud revolution. See how other organizations have IBM Z as a central element of their hybrid cloud strategy and capitalize on new application performance management (APM) capabilities. Don’t miss this opportunity to interact, network and learn. Register today for Think 2019. Please join us for the IBM Systems reception at Infrastructure Village on Wednesday, February 13, at 5:00 PM local time. We look forward to seeing you in San Francisco!